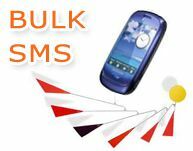 We offer you a complete web based Bulk Text SMS services and solutions. We are the leading Group SMS Provider to national and international companies, firms and individuals. Our bulk message sending software enables you to send messages to anywhere in India at flat cost. Send SMS all India coverage including Private GSM (Reliance, TATA, Airtel, Vodafone / Hutch / Orange, Idea, BPL, Aircel, Dishnet, Spice, etc), BSNL+MTNL GSM and Reliance IndiaMobile CDMA (Mobile and Fixed Wireless Phones - FWP) and Tata Indicom CDMA (Mobile and Fixed Wireless Phones - FWP). Further Details of Coverage at Mobile Service Providers. No Expiry/Time Period and No Setup charges. Pay only the per SMS charges. Set Your Number or Your Name as the Sender ID. Delivery status reports and Instant delivery, timed delivery. All India GSM + CDMA Coverage including BSNL and Reliance IndiaMobile and TataIndicom. Upload SMS/Contacts and Group SMS. NDNC Filtering for Marketing/Promotional Bulk SMS. 2 Way / Two Way SMS from nearly 400 global mobile networks for receiving incoming SMS's. More Details at 2 Way / Two Way SMS. We provides Bulk sms and sms Bulk World Wide. We are a leading bulk sms providers, bulk sms provider and provide bulk sms sender and cheap bulk sms to all the International Mobile Networks. To send bulk sms and bulk sms messaging, We provides bulk sms software. Free Mobile data services for GPRS/CDMA Handsets With MMSJUNCTION.com You can have great fun on your GPRS/CDMA Mobile Handsets. Subscribers of Airtel (Airtel Wap-GPRS), Reliance IndiaMobile (R-World), Hutch/Orange (HutchWorld / OrangeWorld), BPL Mobile (BPL GPRS), BSNL GPRS (East Zone, North Zone, South Zone), MTNL Dolphin GPRS (MTNL GPRS), Idea (Idea GPRS) can access our services Free of Cost. Connect directly to prospective buyers, directly on mobile phone! Communicate special discounts and schemes to prospective buyers. Send Bulk 'promotional messages' to prospective buyers. Send automated "Servicing Reminders" to your buyers. Send SMS as part of SMS Marketing or Mobile Marketing strategy. Mobile Marketing keep in touch with your potential customers etc. Two-way SMS (Global Longcode): Host keywords on our Global LongCode number. Set Auto Response messages, collect customer feedback, run custom applications. Low cost solutions for serious customers. For details on Two way SMS, please click here. Unlimited Users Group: We don't limit no of users allowed in a group. Send group SMS to more then 10,000 people in one click. Have several such groups. Delivery Reports: DRs are available on demand. Get the DR of each and every SMS you sent via our web interface or via our HTTP API. SMPP/HTTP/Web: We provide all the industry standard tools to connect your application to our gateways. 24x7 Support: We are always here for you. When ever you need help from us, just create a support ticket and we will reply back to you asap. SMS Messenger: Send SMS from our Desktop Application. No need to login to our website to send sms. Fast Interface. DR Tracking available. Our Web based SMS tool offers bulk SMS delivery, address book merge functionality, bulk imports of contacts, and many advanced sending features. Our Web SMS Interface will enable you to send SMS without a mobile phone in a very quick way. This is possible with easy and convenient manipulation on keyboard and monitor with user-friendly interface of Web browsers. This will help people to send portfolio information, stock quotes, price alerts and news headlines, sports scores, weather, horoscopes, classifieds exchange rates, product availability, holiday specials and mobile coupons, marketing campaigns promotional activities via coupons, special offers and incentives. Companies and Individuals who wants to stay in touch with their staff and customers for their meetings, notices and product announcements can use our Web Based SMS. Import of Address book from text files in .csv format. Create your own messaging applications. To send a message, data is posted over HTTP to SMS Everywhere servers. 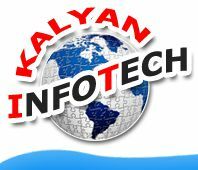 With the advent of the developer API kit from Kalyan Infotech makes the process of navigating around destinations within your website much easier. When you use this developer API kit you can easily integrate your software or any other web based SMS Alert System.You may ask why you have to use this kit from Kalyan Infotech. The reason is simple and also evident. API kit is the most simplistic easy to integrate with very little knowledge, almost everythning is fully automated. The developer API kit is not only easy but works too. If your website is travel based then this kit will prove to be very useful. With this facility your website visitor can instantly receive any SMS Alert feature that your website is featuring. The good thing is that you need not be a website developer or designer to implement this kit in your website. As a matter of fact implementing the developer API kit is very easy. You would be impressed to know that more and more websites are using the developer API kit. You need not feel overwhelmed by the technical factor when you decide to install this feature into your website. You will find lot of technical services available on the internet and these will do all the technical work thus taking off your headache. Of course it is true that this cannot be done by someone who doesn't know what he is doing as it can be a difficult task for him. However for a web designer who knows his job it can be no problem at all. In the future many more websites will be using developer API. In fact technically speaking the developer API is better than a link because it not only displays your business location but also enables the user to get to you from anywhere.